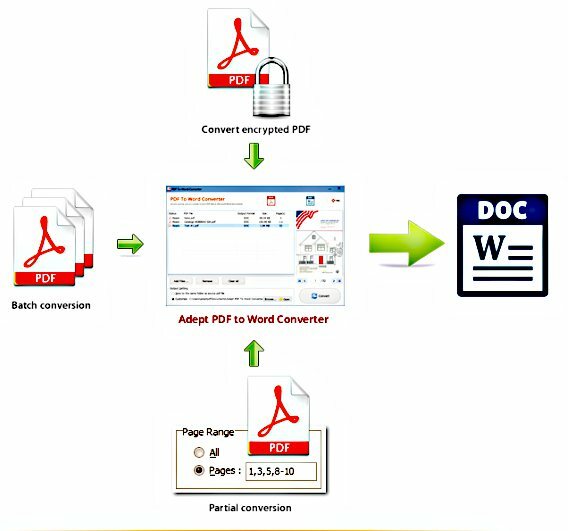 Adept PDF to Word Converter normally cost $29.95 for purchase. As part of promotional offer, the developer AdeptPDF Studio is now giving away free Adept PDF to Word Converter software to interest users. Next, install the program and register with the license code displayed below. Note: The giveaway will be expired on April 30, 2017, so hurry up! You may want to check out more software, such as Adept PDF to Text Converter, Adept PDF to Excel Converter or Adept PDF to Image Converter, which might be similar to Adept PDF to Word Converter.